NEW !!! DVD and Blu Ray of my May 2013 chase adventures in the USA now available for swap. 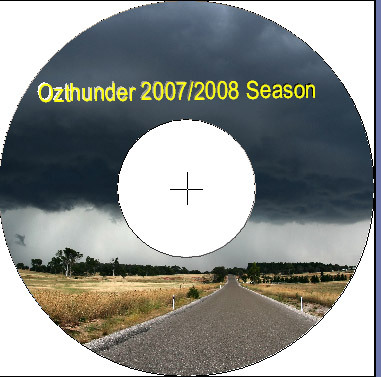 PALL or NTSC, also bonus 2012-2013 Australian chase season disc. 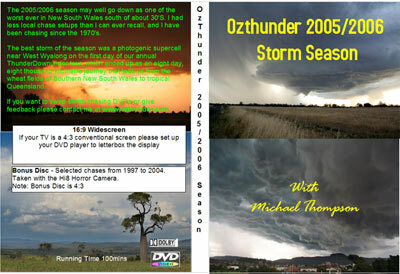 I have several other storm chasing DVD's in PAL format for swapping with other interested storm chasers or travellers. These DVD' are not for sale, only swap due to cases of sending off to several people who contacted me and not even getting a thank you in return. 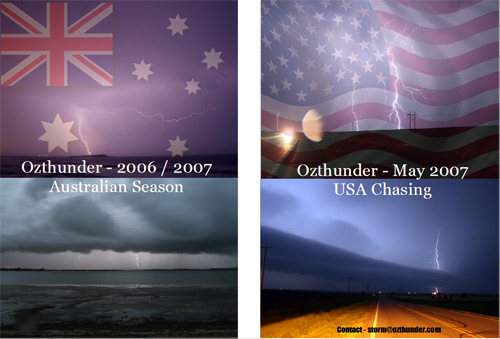 2005/2006 Australian Chase Season - including a 10 Day Trip from West Wyalong to Mackay Queensland. 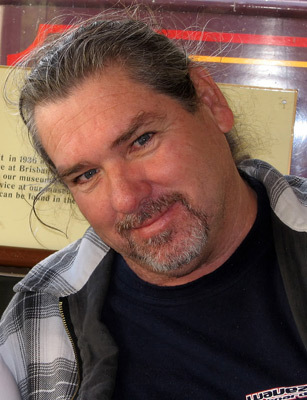 Lots of other videos on my You Tube channel.